Lower the Chances of Heating Repair with Indoor Air Quality Products | Clean Air Act Inc.
We’re coming to the end of heating season here in Oregon, as spring formally arrives and temperatures start to go up along with it. Ironically, heating repair calls are more common now than any other time of the year, as overworked furnaces start to give out. Even if you haven’t suffered a breakdown in your heating system, it’s usually a good idea to schedule a maintenance session as soon as winter ends: giving the technician a chance to look it over for any problems in need of repair. Beyond that, it behooves you to think about your heating system’s needs for next year. Once warm weather arrives, you can think about ways to improve your heater’s performance and cut down on future stress and strain. That, in turn, will lead to lower bills next winter, and possibly even help extend the life of your heating system overall. Among the options you should consider is the installation of an indoor air quality product in your HVAC system. Such products provide considerable benefits to your home in and of themselves, but they can also provide considerable benefits to your heating system too. They can include the following. Dry air is a big problem in the winter time. It can cause static electricity, create terrible itches on your skin and makes your family more vulnerable to colds and flu bugs. As far as heating systems go, dry air tends to feel colder than moist air in your home. While a heating system can compensate, it needs to work harder to do so, and the increased strain can lead to higher bills and increased strain on the system. And force-air furnaces tend to lower the humidity even further, compounding the problem. A whole-house humidifier will raise the moisture levels in the home, helping it feel warmer and more comfortable. That, in turn, will ease the strain on your heating system, and allow it do to its job without spending quite so much energy. Dust and dirt can affect your entire home, but they have an impact on your heating system too. For example, excessive dust can coat moving components, which elevates the friction and increases the wear and tear on them. 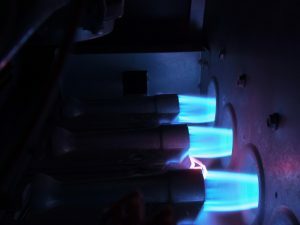 Burners, too, can become clogged by dust, and will need to be cleaned before they work. Otherwise, your furnace won’t generate as much heat as it should, and the system will suffer for it. One possible solution to such an issue is to install an electronic air filter in your system. They work by charging dust particles as they pass through your system, causing them to stick to a collection pan. As a result, the dust count in your air drops considerably. That helps your heater function more effectively and reduces the impact of wear and tear on it, as well as providing other benefits to your home as a whole. For indoor air quality products and heating repair in Beaverton, OR, call The Clean Air Act, Inc. today!